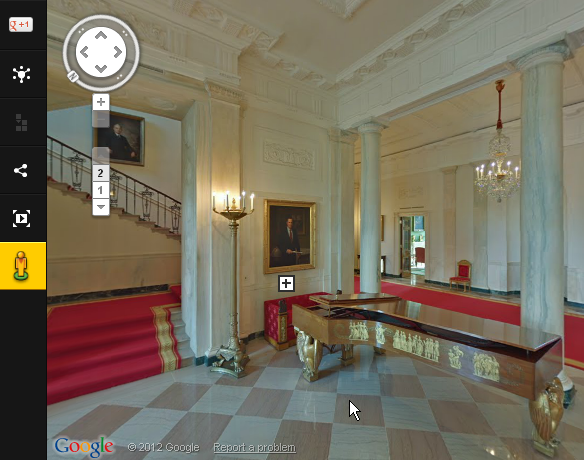 Google has included the virtual tour of White House in its Google Art Project. White House is home of Mr. Barack Obama – President of USA. This initiative was promoted by none other than first lady Michelle Obama. Through this virtual tour of White House you can see the plush interiors of this grand mansion in 360 degrees and see the living style of world’s most powerful leader and his family. This art project lets you move through the White House interiors and see the interiors in rich graphic visuals. You can zoom in using mouse pointers and also see decoration from a close angle in detail. You can access the Virtual Tour of White House here.